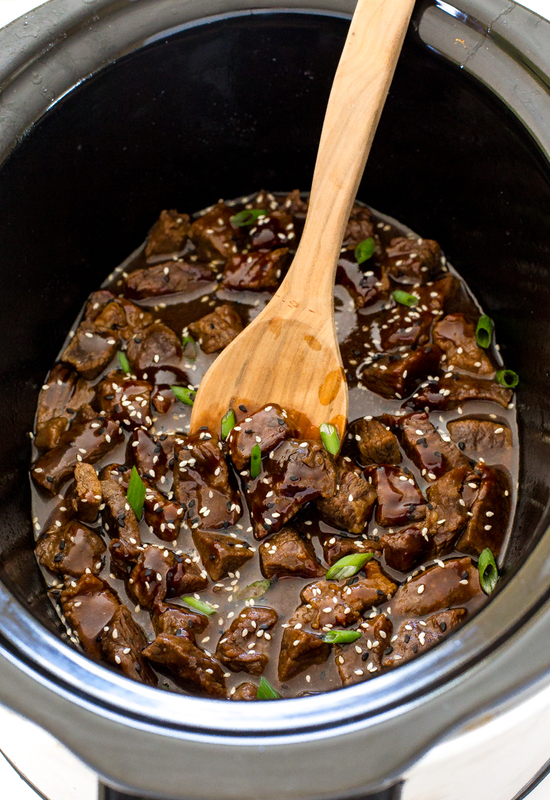 Incredibly Tender Slow Cooker Korean Beef. 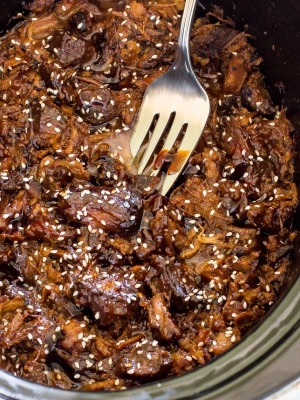 Chuck roast cooked low and slow for 8 hours in a sweet and spicy Korean style sauce! Serve over rice or noodles! I love cooking chuck roast in the slow cooker. It always produces super tender fall apart meat. 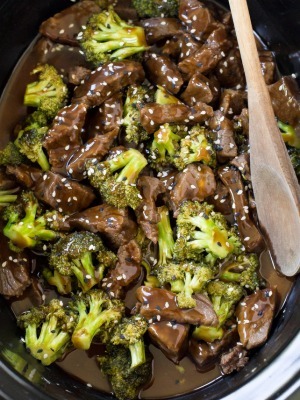 The tender chuck roast gets cooked in an easy Korean inspired sauce. Both the sauce and cubed chuck roast get added to the slow cooker. The prep time is less than 10 minutes. You can even prep all the ingredients the night before and throw it into the slow cooker in the morning! Start by mixing up the sauce ingredients: brown sugar, soy sauce, sesame oil, Sriracha, ginger and garlic. 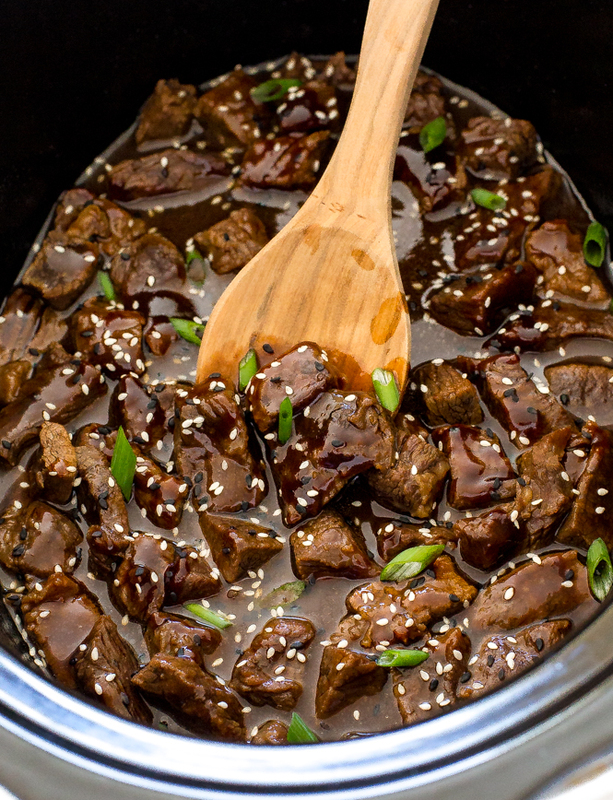 Add the sauce and cubed chuck roast to the slow cooker and cook on low for 8 hours. After the Slow Cooker Korean Beef has finished cooking I mix cornstarch and some of the cooking liquid together to thicken it up. To serve I garnish with green onions, sesame seeds and a little more Sriracha. 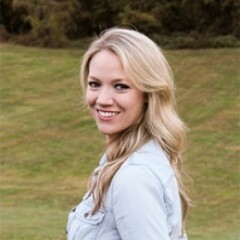 If you love this recipe try these Easy Slow Cooker Recipes! Add chuck roast to the slow cooker. In a medium bowl mix together all of the sauce ingredients. Pour on top of the chuck roast and stir. Cover and cook for 8 hours on low. (I would not recommend cooking this on high. I have tried and it was pretty tough after cooking on high for 5 hours). Pour the mixture back in the slow cooker and cook on high heat for an additional 30 minutes or until the sauce is thickened. I will make this at home…. This looks sooo yummy!! I have to make this!! Korean flavour is my FAVOURITE!!! 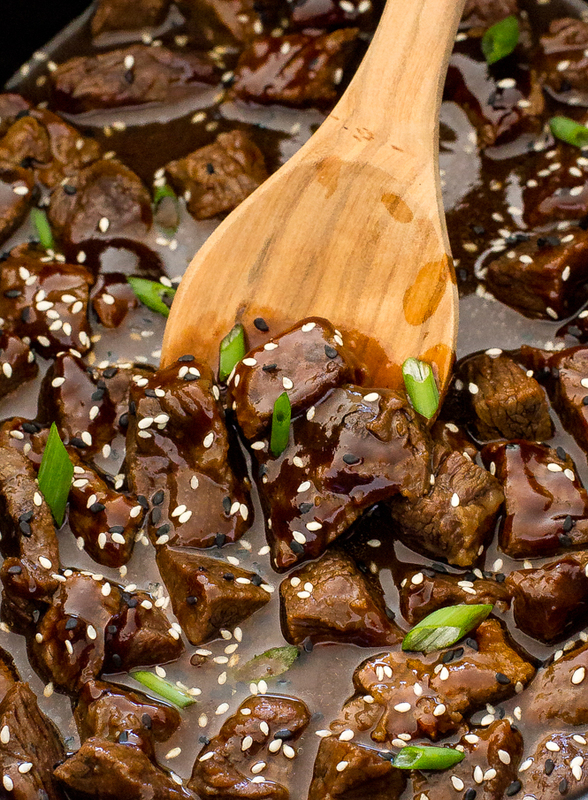 I have a question though – will 1/2 a cup of soy sauce and 2 table spoons of rice vinegar be enough liquid to cover the meat? Would I be able to add a little bit of beef broth to it to make sure the meat doesn’t burn & stick to the slow cooker? Or would that change the flavour? Yes it will cover the meat don’t worry! You can always double the sauce if you prefer. Would you serve this on rice or noodles please? Or other? Either would be awesome! I would do maybe sticky white rice to soak up all the sauce or some easy stir fry noodles to go on the side. I love the way you add sesame seeds. It makes the dish more delicious and little bit crunchy. Has anyone actually made it except for the owner of the recipe, don’t understand people giving rating when they haven’t tried making it.